At Trapper Tackle, we looked for solutions to these age old problems and after years of research and testing, we have developed, tested and relentlessly re-tested a hook design that addresses those age old problems… and more. 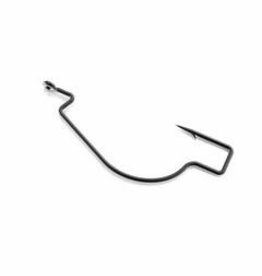 Our patented Trapper hooks have a specially designed feature that makes it harder for fish to throw than a J shaped hook. That’s because J hooks have a pivot point that tends to rock back and forth, tearing and slicing bigger holes that make them easier to throw. 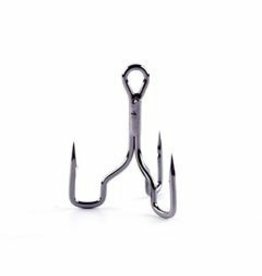 Trapper hooks are squared at the bottom which means they don’t rotate or pivot like traditional hooks, making them very difficult for fish to throw. Trapper hooks not only hold fish better, they also hold lures and baits in place better, ensuring perfect presentations and significantly reducing the number of times you have to adjust or re-rig your bait. Less time re-rigging means more casts, more effective presentations and more opportunities to catch fish. Today, our patented design is the cornerstone of the Trapper Tackle product line which includes a growing array of general use and technique specific hooks for all manner of artificial lures and live or dead baits. Trapper also offers a range of hooks for anglers and manufacturers who want to integrate Trapper’s patented design into other lures including jigs, blade baits and other hard baits. 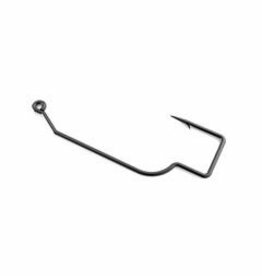 Every Trapper hook is made from quality hi-carbon steel with a sticky sharp Piercing Point for rock solid hook sets. They have been proven to improve lure performance, angler efficiency and fish retention. But don’t take our word for it. 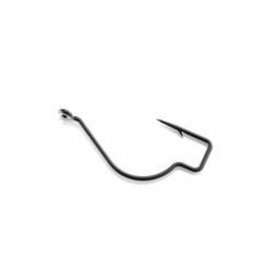 Try a free sample of our Trapper hooks, and you’ll be hooked for life. Trapper Tackle is a Landum Outdoors brand. The ultra-versatile, ICAST New Product Showcase Best of Show Award Winning Trapper Dropshot / Live Bait / Finesse Hook comes in a broad range of application-specific sizes. 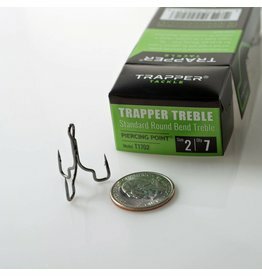 The Trapper Box scales with hook size, making it easy to fit the right hook to your favorite bait. Perfectly engineered to penetrate quickly and lock in tight with the patented Trapper® Box design and Piercing Point®. The Trapper 30 Degree Jig Hook has a lot to offer do-it-yourselfers and manufacturers who wish to incorporate the patented Trapper Box design into their baits.